The invitation to run a course for Sunday School teachers at the Church of the Resurrection at Tagabe, on the island of Efate in Vanuatu came from Father Bill Tari. His request was to repeat a five day course that I had run in Luganville on Santo the year before. Sharlene Knight, a student in Church Army training and Children’s worker working alongside me in Canterbury Kids Coach went with me (Louise Weller). Preparation involved one whole day and two half day meetings over six weeks, covering a basic understanding of Ni-van culture, expectations of dress, communicating where English is limited, using non verbal language and an outline of the workshops. On arrival at Port Vila, we were met by Father Bill Tari, responsible for this mission trip and the local priest Father Dunstan Butu. We were given a warm welcome by the parish after our arrival. 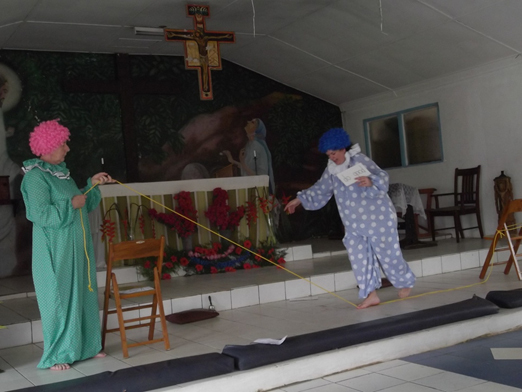 The course involved five different ways of bringing the Bible alive – puppetry, drama, stick ministry, games with purpose and clowning. Father Bill Tari covered personal discipleship and preparation. Each student was given a certificate on completion of the course at the closing ceremony. There were 13 Sunday School Teachers on the course plus another eight to ten young people who attended. Students came from two parishes, Tagabe and Fres Wata. Because it was school holidays, we saw many children come and take part as well. The time spent at Tagabe was very worthwhile. 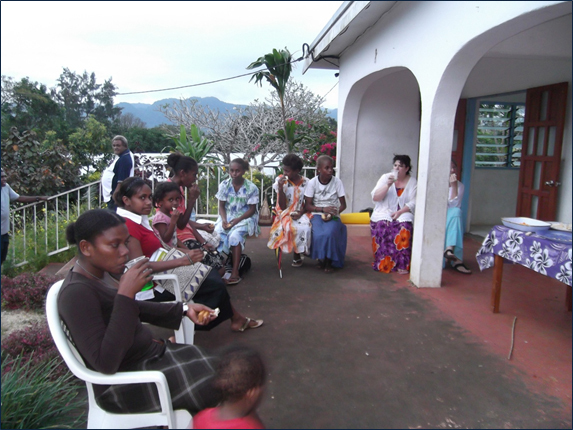 Sunday School Teacher Training is a new thing in Vanuatu. My visit to Luganville last year was the first time they had attempted anything like this. We were able to speak to the congregation at Tagabe on Sunday Morning about the course and its benefits to their community – using creative ways of bringing the Bible alive in a way that attracts the younger generation. Our accommodation was at the Kalfabun Guest House in Tagabe. This was budget accommodation paid for by The Church of Melanesia. Apart from two meals, we purchased our own food and cooked it at the Guest House. 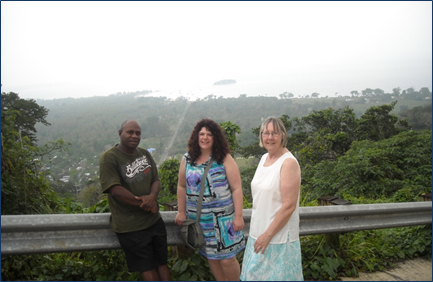 We have been invited to Maewo and maybe Pentecost Islands next year and are seeking the Lord for his direction. Like Santo and Efate, Sunday School Teacher Training has never been attempted before. One of the things the church of Vanuatu struggles with, is reaching out to those outside the church. Congregation numbers are declining as they are here in New Zealand. They are good at looking after those who come to church but have no plans in place to do more than that. I was able to share with clergy the desperate need to address this issue before it is too late. We trust that the skills and ideas we have planted will have an ongoing benefit both to the local parishes and the communities from which the students came.